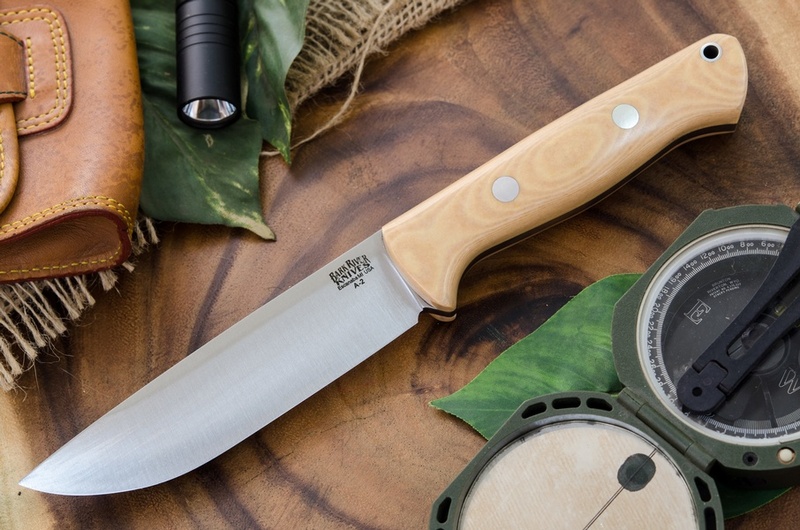 Super Barkriver outdoor knife, the new Bravo 1.25. This is a revised version of the Classic Bravo-1 and the addition of 3/4in of blade to make a full 5in. This gives the knife superb balance, increases the cutting edge and makes the handling of the knife much better. The fit and finish is really excellent and the Classic Barkriver A2 Tool Steel is a workhorse, full convex grind and 60HRC gets you great edge holding. 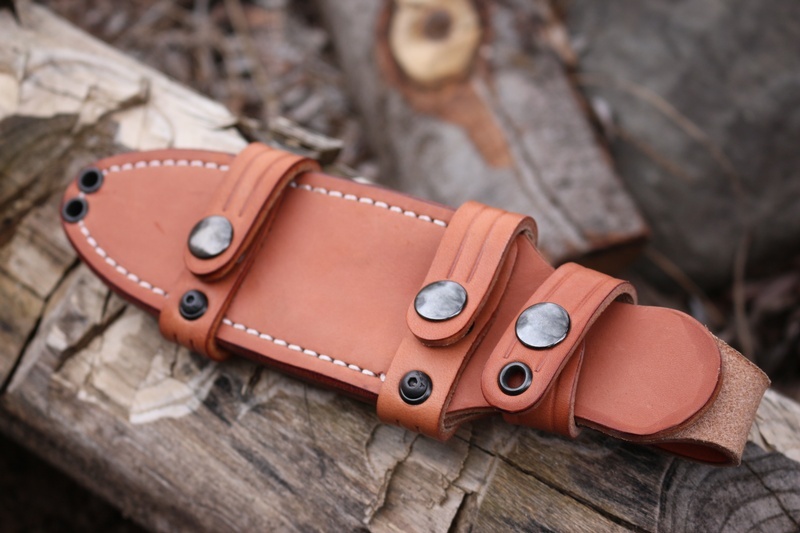 Comes with quality leather sheath. Purchase through PayPal by using the "Add To Cart" button above or use the form below to order the Bravo 1.25 A2 Antique Ivory Rampless . Feel free to contact us if you have any questions about the Bravo 1.25 A2 Antique Ivory Rampless .